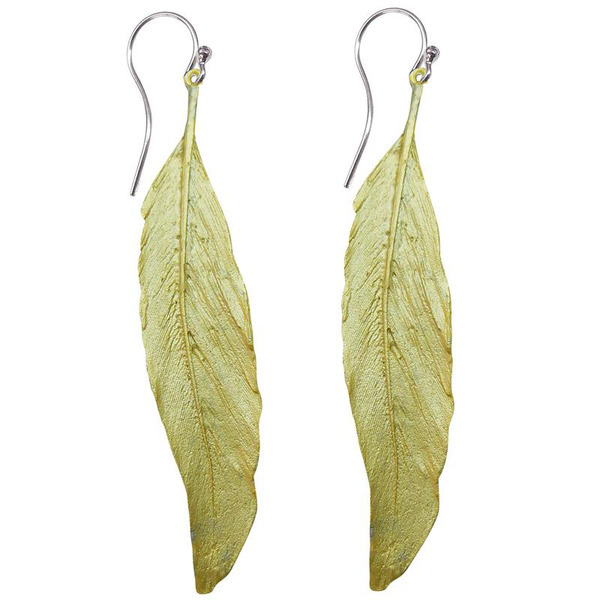 Beautiful long feather designs are cast in bronze and then finished with a gold plate finish. Designed and produced by Michael Michaud for his Silver Seasons Jewelry collection. Earrings measure 2.5" in length and are .5" wide. Made in the USA.